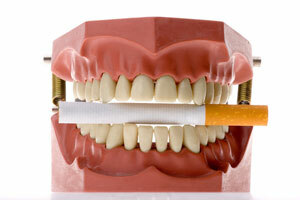 Of course, your dentist should be your first line of defense in the fight against oral cancer. Routine check-ups twice a year will allow our team to keep a close eye on your teeth and tissue and quickly treat any suspicious areas. In fact, when oral cancer is detected and dealt with early on, it dramatically decreases the chances of health problems later on! While a majority of patients suffering from this condition are heavy users of tobacco and/or alcohol, it’s important to remember that nearly a fourth of cases occur in people who don’t participate in any known risk factors. That’s why you need to seek out the dedicated help of Dr. Weinman and his staff! We’ll be sure to treat your teeth well. Contact our Westfield, NJ office today to schedule an appointment. We’re also happy to treat patients from Scotch Plains, Farmwood, Cranford, Mountainside, and beyond!